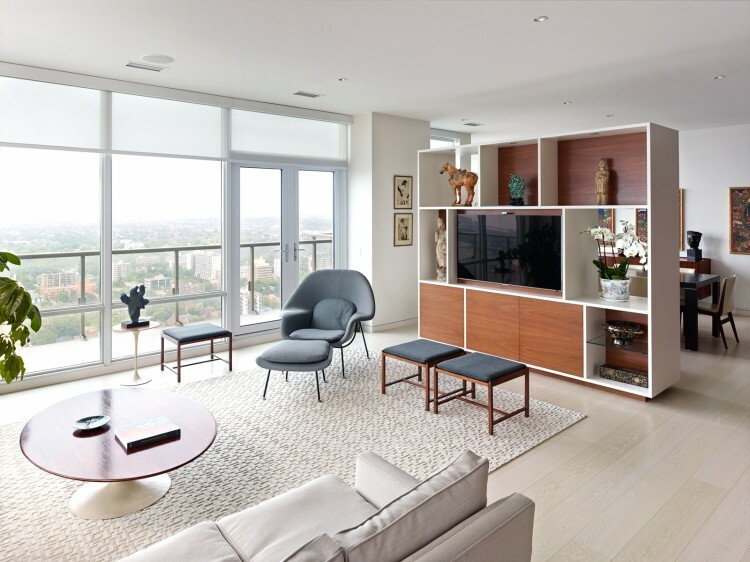 When Sonja Bata, the matriarch of the Bata Shoe empire, purchased the top floor of the One Bedford condominiums at Bedford Rd and Bloor St, it was a 2,600 sq. ft. raw space that needed a complete fit-up. 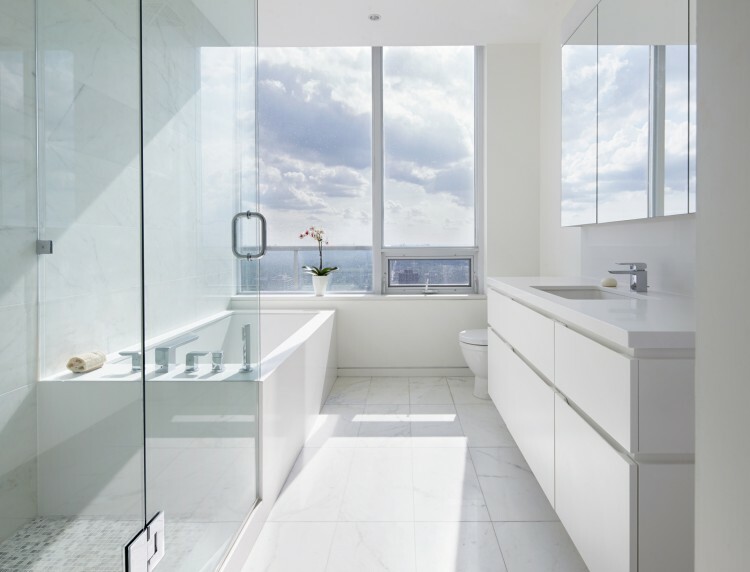 Instead of the expected traditional layout with closed off rooms connected by corridors, Bata requested an open yet defined space that would take advantage of the incredible panoramic views from the 32nd floor. She also wanted to showcase her unique artifacts, art and vintage modern furniture collected from 50 years of working and traveling around the world. Trained as an architect in her native Switzerland, Bata understood that this project would require an atypical approach to the design. 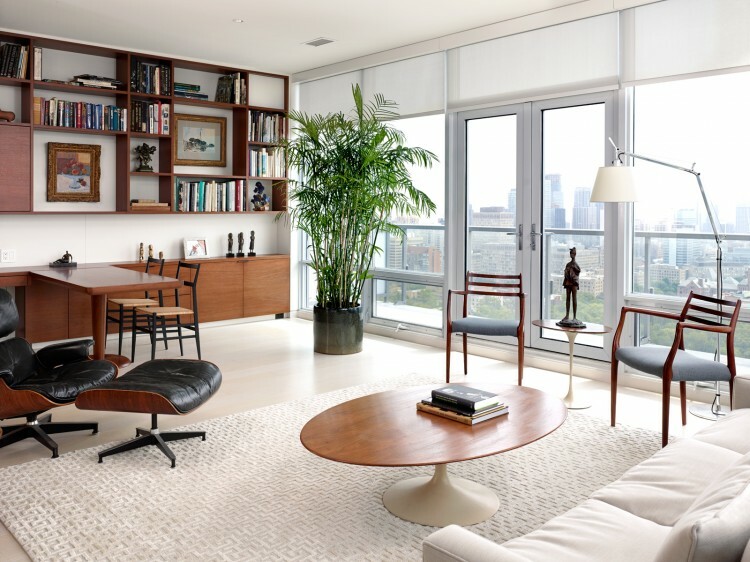 Recognizing that this home would read like an autobiography of Bata’s life, the intent was to create a connected, minimalist space that would take full advantage of its sweeping views of the city and provide Bata’s treasured belongings an opportunity to tell a story. 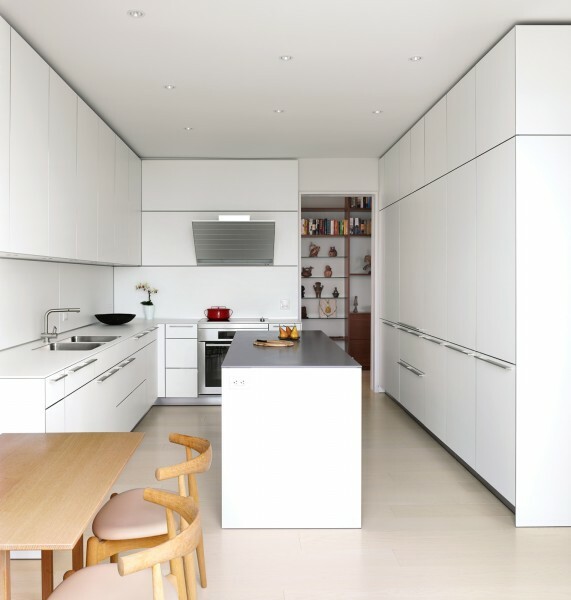 Rather than walls, the open plan is punctuated by such mediating elements as custom cabinets with openings to the spaces beyond, and a large tapestry mounted onto a floating panel. These elements frame curated views through the space and to the full height windows beyond. 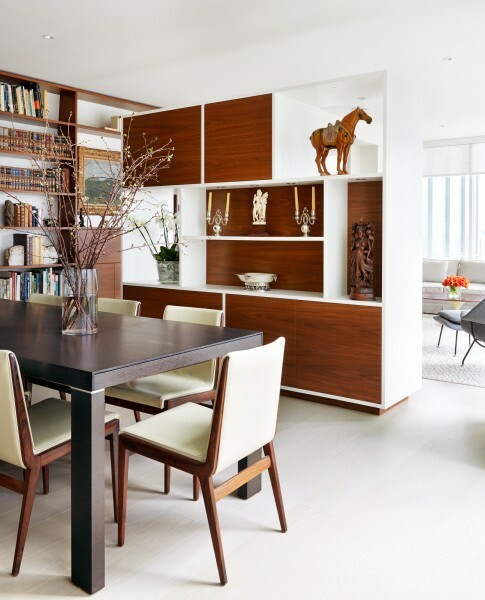 White walls and whitened oak floors throughout help to unify the space and focus attention to the objects on display, while the richness of walnut cabinetry brings warmth and character to the otherwise light material palette.